One of the toughest things about going somewhere new to live is simply getting your belongings where they need to be. There are a lot of methods that you can use to do this, but one of the easiest by far is to use portable moving containers. Here are four signs that these items may be a good choice for your particular scenario. When you are only picking up and going across town, you might be less stressed out than if you were headed several states – or hundreds of miles – from your current location. When your new home is just a hop, skip and a jump away, it makes sense to simply ask some friends to help you out with their vehicles to bring things to your new address. However, if you find yourself going much further, it could be out of the realm of possibility to ask loved ones to do the packing, transportation and carrying for your relocation. In these cases, it is a lot easier if you just bring what you can in your own vehicle, but then put everything else in a pod that will be picked up from and dropped off right at your door. It can be very hard to bid adieu to sentimental possessions that you’ve had your whole life, or that mean something special to you. Especially when you are downsizing from a larger home to a more compact one, it may be a matter of necessity that those kinds of object go somewhere other than the trash or a donation center. 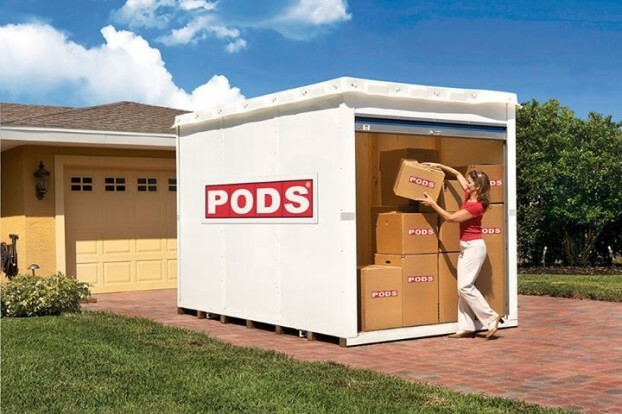 Luckily, when you use a pod or comparable product, you can keep these things out of the way until you find the room for them, or until you rent out a self-storage unit in your new town. No one likes feeling rushed while relocating. If you have the luxury of time, it can be nice to pack and load your things bit by bit. This is easy if you’re using containers that are delivered far in advance of your end date. For some people, it is no big deal to rent a truck or comparably large means of transport to bring all of your stuff from its current home to its new one. However, most people don’t love the idea of commanding an enormous vehicle that they aren’t familiar with – especially on busy highways or city streets. Moving containers allow you to forgo the clunky box truck altogether. Check out sites like United Mayflower Container Services and others for easy do-it-yourself moving.